Originally stated around 1600, the fort wasn’t fully completed for over 150 years. It is very large and imposing. It is situated on a ridge overlooking the town of Jaipur and can easily bee seen from the town.. It takes a while to get there. It’s actually around 11 kilometers from Jaipur up twisty mountain roads. They tell me Bus #5 can take people all the way to the fort for 7 rupees, about 15 cents. 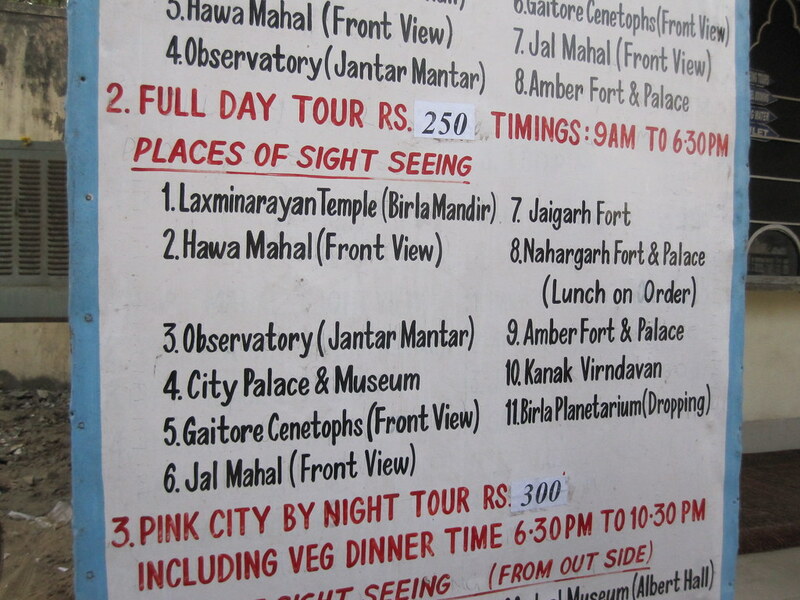 The city tour that I took takes in Amber Fort, Jaigarh Fort and Nahargarh Fort and only costs 250 rupees, about $5. The fort is not just a fort, it served as one of the king’s palaces as well. I would say that all of the 3 forts around Jaipur should be seen. Admission is $1. 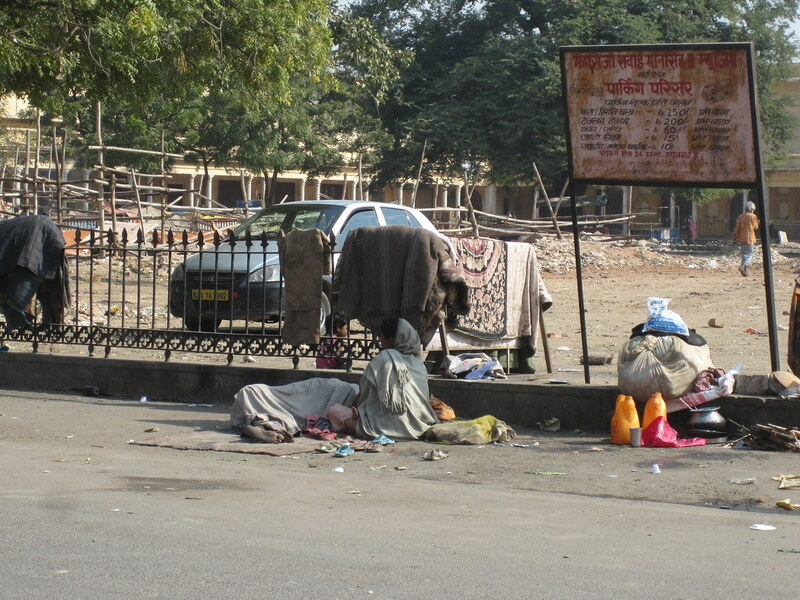 This entry was posted in Travel and tagged Bus, Jaipur on January 25, 2011 by Steve. 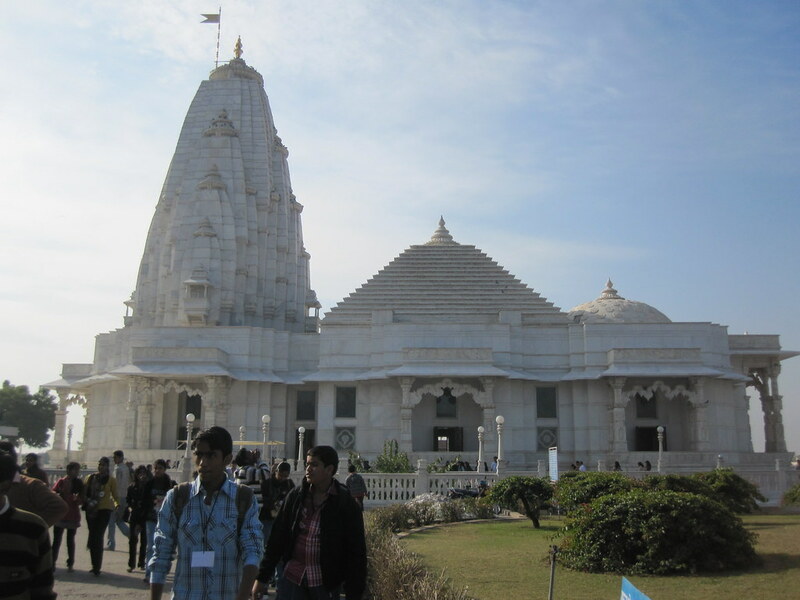 The locals call it Birla Mandir. It’s a modern, very nice temple. Lots of marble. Very clean lines. Well worth a visit when you are in Jaipur, India.. 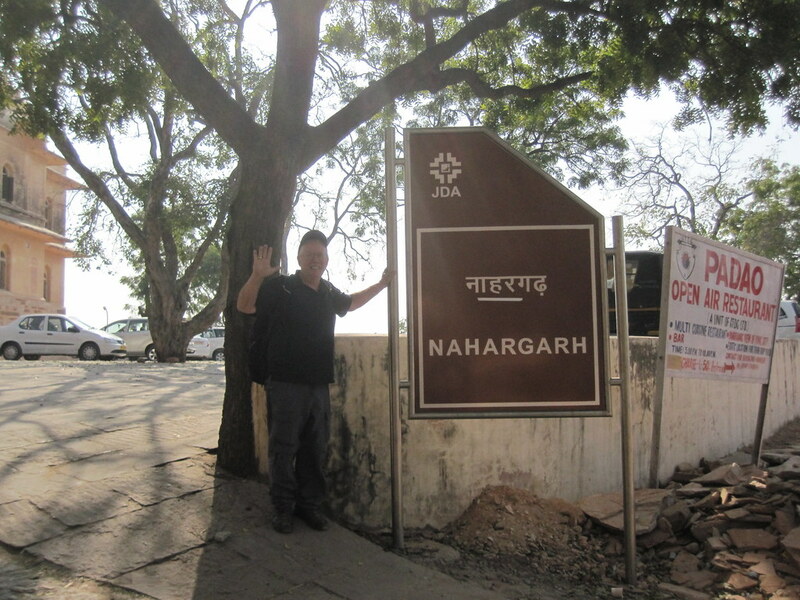 This entry was posted in Travel and tagged Jaipur, Temple on January 25, 2011 by Steve. 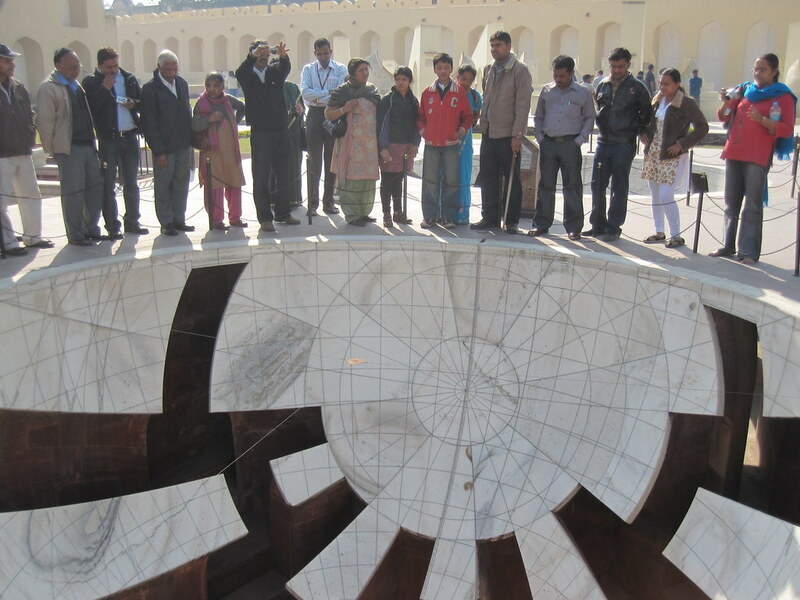 It’s called Jantar Mantar and it’s a whole amusement park of astronomical instruments built in the early 1700′s. It’s located in the Old Town of Jaipur, India. The instruments are quite sophisticated and the sight is a UNESCO World Heritage Site, making it a big "must consider to see" on my checklist of places to go in India. Our guide took us around and explained the workings of a few of the instruments. The site is on the city tour. 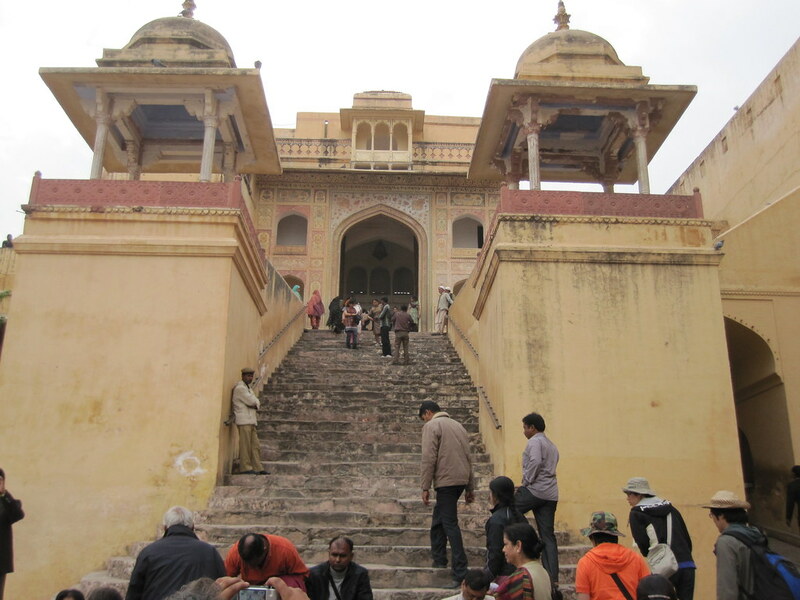 This entry was posted in Travel and tagged Jaipur, Tour on January 25, 2011 by Steve. 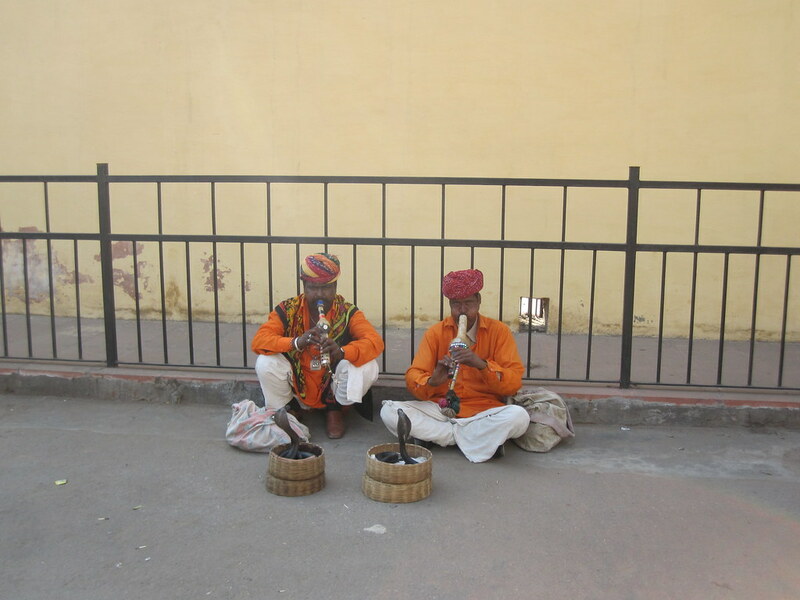 There I was, minding my business, walking from one attraction on the tour to another and I spy a couple of snake charmers working the crowd on the tourist trail. So what do I do? I take their picture. Immediately one of them sees me and jumps up. "Money, money, money!" he yells at me as he jumps up and heads my way. "How much?" I ask him, willing to pay him something, I mean, after all, it’s his job to be a tourist attraction. "100 rupees." he responds. I was going to give him half of what he asked when one of the Indian locals on our tour intervened and told the snake charmer something that made him leave me alone, and then he took me by the arm and led me off, telling me never to pay people like that. Indian brahmans can be hard on their own countrymen. This entry was posted in Travel and tagged Jaipur on January 25, 2011 by Steve. You’ll see it in all the big cities in India. They are homeless people living on the street in a little nook somewhere. They may have a lean-to or a makeshift house made out of sticks and cardboard. Who knows how creative people can be? They exist. Usually with a few naked to half-naked kids making merry. Small children don’t understand poverty, but neither do I. I see people living like this and I wonder about the reasons for the situation. I think there’s a streak of sociologist in me. This entry was posted in Travel and tagged Jaipur, My Favorites on January 25, 2011 by Steve. It wasn’t the best f the 3 forts in Jaipur. But, I was glad I saw it. It actually came in a distant third on my list of the 3 forts. It does, however, have a great litle restaurant that serves up a really mean vegetable thalli for about $2.50. I’ve heard the lassi is great, also. Oh, yes, by-the-way, they serve beer. It’s a mall. It’s in Jaipur. Jaipur is a city of 2 million people. This mall was okay. The store I liked best was Pizza Hut, which had a really tasty-looking menu even without beef. 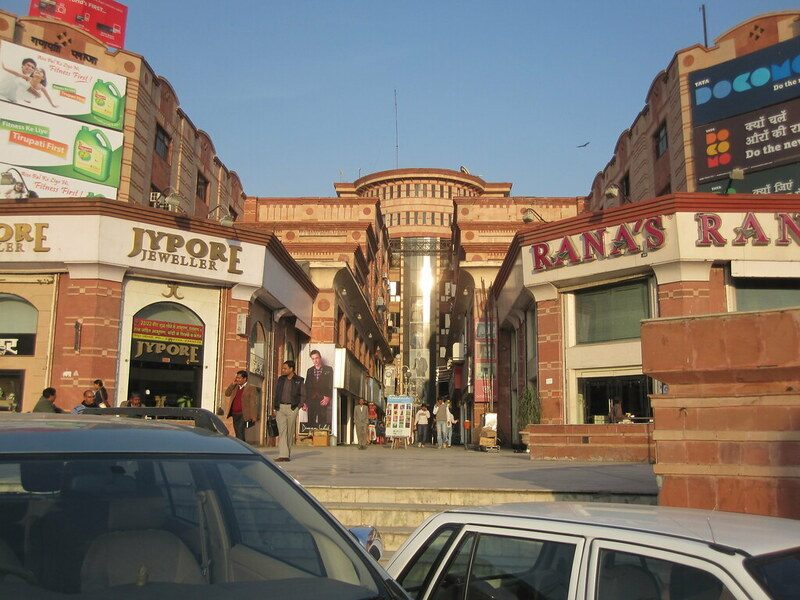 I’m not really a "mall guy" in India. I prefer the rough and tumble dealing in the local markets, where shoppers can be cut-throat negotiators trying to starve the children of vendors. Or, at least, keep the vendor’s children out of the college of their choice. It was a great tour. There were about two dozen of us. Cost about $5. We saw lots of great places. There were temples, an observatory, palaces, a museum, some graves, and three forts. We had lunch at one of the forts in a restuarant where I got a great vegetable thalli for $2. The tour was sponsered by the local government and I was impressed at the quality and happy with the cost. Plus, I had a lot of fun with the other tourists. At the end of the tour the guide took me with him and bought me a cup of Chai at a local shop instead of making me sit through the obligatory stop at the silk merchant. I was humbled.